75 Years of Disney Animation: In our 200th episode, Team Mousetalgia discusses day 2 of Destination D, and covers topics including Disney’s “Wild and Wacky” animation, the evolution of Disney’s Tinker Bell character, and the voice artists behind some of the classic Disney animated features. In the process, you’ll hear from many of the participants at the event, including Kathryn Beaumont, Margaret Kerry, Bill Farmer, Mae Whitman, and others. We also discuss the event’s salute to “Snow White,” and we review “An Evening with Alan Menken,” the incredible conclusion to the weekend. 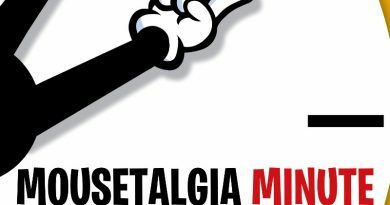 Plus – to celebrate 200 episodes, Team Mousetalgia takes a look back, reminiscing about our favorite guests, events and episodes over the past four years.